Michael Burke, head of sales at OnDeck Australia, said growing demand for credit in the SME space could provide mortgage brokers with an opportunity to diversify their income stream amid uncertainty over remuneration off the back of the banking royal commission. “There is clearly strong demand for SME finance, making this a revenue channel that brokers cannot afford to overlook,” Mr Burke said. The OnDeck research also found that of those SMEs seeking finance over the coming year, almost half (49 per cent) would consider a specialist financer. OnDeck’s head of sales also claimed that mortgage brokers looking to enter the SME lending marker don’t need “extensive experience” to succeed in the sector. Mr Burke noted that OnDeck provides mortgage brokers who have made the switch with the necessary training and skills required. 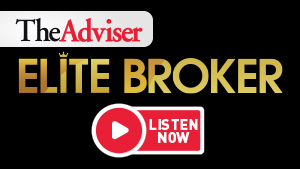 However, the president of the Commercial Asset Finance Brokers Association (CAFBA) and director of Quantum Business Finance, David Gandolfo, recently encouraged mortgage brokers to equip themselves with the necessary tools required before making the decision to diversify. “There is a lot of talk from some aggregation groups encouraging their members to move into new spaces, but we are concerned that some may be doing it without really talking about the necessary skills and training that you have to have in order to be successful in that market,” Mr Gandolfo said. Last year, CAFBA and the Institute of Strategic Management (ISM) partnered to launch a new Certificate IV in Financial Services, Specialising in Commercial and Asset Finance. CAFBA recently announced that the Cert IV is now to be followed by a diploma, which is set to launch by the end of May 2019.